I got a sample of this and been using it for two weeks. I don't buy anything for my face and I love it. I have sensitive skin and it doesn't dry my face out. I suggest only using a dab as small as the tip of your thumb. I love that you don't have to use that much to cover your face. I bought this product and used it, next day my cheeks were dryer than the desert, and I had broken out a bit. Didn’t think anything of it. I continued using this product in the following days after that. Every time I would put it in my face, it would burn, again didn’t think anything of it. After 5 days of use my cheeks turned a bright red, became extremely dry and none of my moisturizers worked and I can’t even put my makeup on with my cheeks burning. It hurts so bad. I would never recommend this product to anyone, it really ruined my skin. Thanks so much for trying our scrub! We're so sorry to hear this wasn't a match for you, but we'd be glad to help. When you get a sec, just give us a call at 1-877-754-6411, M-F, from 9a-5:30p ET with your reviewer ID, and we'll chat. Thanks! I saw this today at the store and had to try it. I love it. It felt so good on my face, it took off all my makeup and rinsed off easily. My face feels so clean! CHEMICALS, CHEMICALS, CHEMICAL, and yes did I mention CHEMICAL!!!??? I have very very sensitive skin so i watch what I use but I love trying all diff kinds of products. So I read the reviews while in the store, some say yes some say no so I bought to see to for myself. I used it for a couples days no problem, I loved the way it made my skin look, very fresh. Well about a week in it started drying out my face pretty bad. I have nothing bad to say over it but maybe like a once or twice a week thing. Hi there! 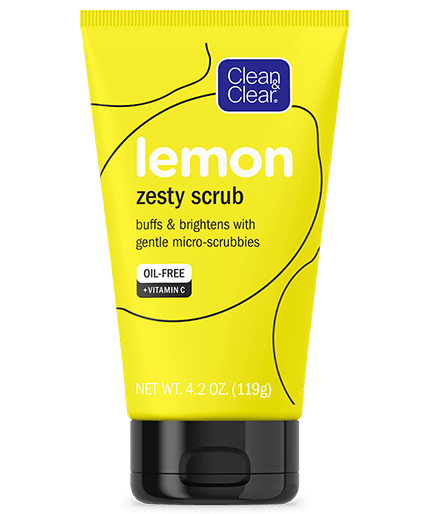 We’re so, so sorry to hear our Lemon Zesty Scrub caused your skin to become dry. When you have a moment, please give us a call at 1-877-754-6411 between the hours of 9:00 AM – 5:30 PM ET, Monday – Friday so we can learn more about what happened and see what we can do to help. We hope to hear back soon! I’m always weary of certain products because I’m a POC but this has been absolutely perfect for my skin. It has helped with the overall glow of skin and I can even see my dark marks getting lighter. I use it during the day and night. 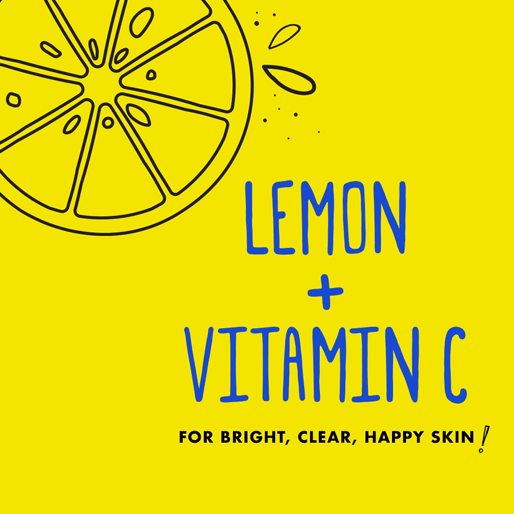 It has an amazing smell and I use the lemon facial wipes when I’m on the go. Absolutely in love with this line! started breaking out next day. This product has a good smell and feel but after using it my face felt weird. A pimple formed within an hour and the next day there was a whitehead on my chin. Hello! We are so sorry to hear about this! We would like to learn more about your experience with our product! When you can, please call 1-877-754-6411, Monday - Friday, 9am - 5:30pm ET. We hope to hear from you soon! Which is the entire point of this product. It exfoliates your skin. That's why it's called a scrub. It gets rid of the dead skin cells hiding the pimples that haven't come to the surface yet. Use the scrub once a week. Use a face wash daily. You have to give it a month. Your skin sheds in cycles. If you do this once or twice a week for a month your skin will be clear. Yes, it's going to hurt. You're forcing pimples to the surface. But it will get better. You just have to stick with it. Thanks for sharing your experience with us and we'd like to learn more. When you get a chance give us a call at 1-877-754-6411, Monday - Friday from 9 AM to 5:30 PM ET. We hope to talk soon!